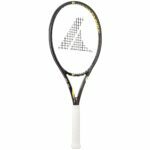 This Pro Kennex Ki Q+ Tour Pro 300g tennis racquet is ideal for players who are looking for stability, control and comfort. Thanks to the small marbles in the frame, players who have soreness in their arms will no longer feel shocks and will be able to keep playing their favourite sport. The black and lime design is very modern and will satisfy players of all ages ! This KI Q+ Tour Pro model weighs 300g. 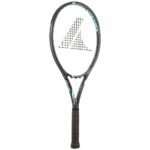 This racquet is very balanced (31.5cm) in order to offer excellent stability and allow you to easily accelerate the racquet head. This racquet is very manoeuvrable. 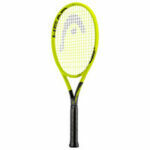 The 630cm² head size is provided with an open string pattern (16×19) to enable you to hit more spin. Also, you will be able to hit the ball in specific areas of the court and move your opponents around. Enjoy hitting solid shots with exceptional feel. 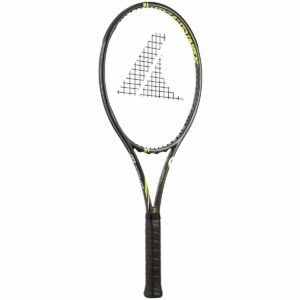 The very thin beam width of 19mm and the racquet’s flexibility contribute an incredibly accurate and comfortable weapon ! 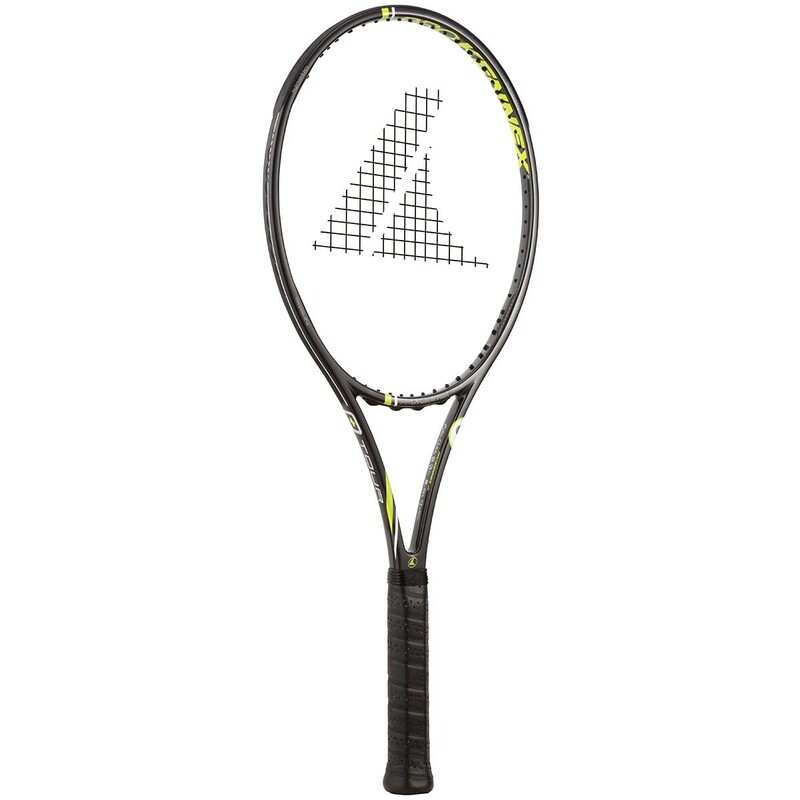 Comfort is a true asset to this racquet thanks to the Kinetic Quadfocus technology. This model will absorb vibrations to help the player not spend too much energy when striking the ball. This technology is scientifically proven to limit the risk of tennis elbow and allow players who have arm soreness to keep playing the game they love ! 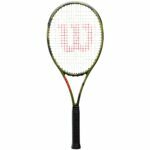 – Intermediate to advanced level players who have good technique and are powerful and are in search of an accurate, stable and comfortable racquet.